been victims of workplace violence. Are you prepared? APB's safety training is convenient and effective with our advanced online learning center. Need courses to maintain your professional license? Shop here. APB's safety products store has the solutions you're looking for to help you be safe. Need help making a purchase? Contact APB's sales professionals. Have a technical question? Contact APB's professional and courteous staff. Check out APB's regular safety briefings to learn the latest security concerns. 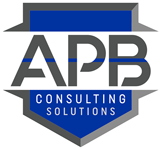 At APB Consulting Solutions, we believe in forming, and maintaining personal relationships with our clients. We don’t just provide training, we offer a full range of safety solutions to include our very own facility threat assessments, training, mass communication options, project consulting for security systems and much more. Let our APB professionals help you protect your employees, students, staff, customers and business. Let us help you be APB SAFE! 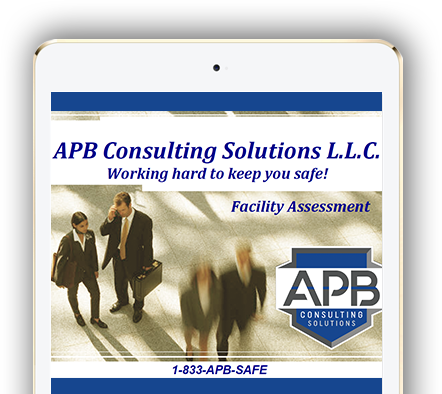 Let the consultants at APB assess your facility. Our experts can identify the risks and advise you on how to protect your business. By allowing us to detect what is happening, when it is happening, and where it is happening, we can show you how to respond with the appropriate level of resources.